First, I hope most of us really don’t think we have reached saturation and cannot find a way to bring the 99%-95% of those who don’t yet shop for local food regularly. I also hope most of us don’t think we can’t encourage more producers to provide it even if it means some different organizing tactics and infrastructure choices. I say let’s dig a little deeper. This includes longtime vendors of markets, many of whom have become comfortable in their spot and with their regular shoppers and as a result, spend less time than they should thinking about newer visitors to markets (notice the lack of prices or details on the farm’s story at many booths as possible indicators) or in assisting in the growth of the market organization once market sales arrive at a sustained level. A few years back, I did some early analysis of the VT SNAP token system and found that the less-than-robust numbers for SNAP use at markets at that point seemed closely related to the extreme low capacity of their market organizations (people are always surprised to hear how there are no year-round full-time market managers in the state and low, LOW pay for seasonal managers), and a need for a suite of market technology and scrip set ups and outreach strategies, depending on the market situation. * In 2011, Vermont market operators reported an average budget line item of less than $1500.00 to pay for market management with most markets reporting between $3,000- $5,000 as a stipend for the manager and no Vermont market reported having a full-time market manager on staff in 2011. In 2010, 59% (37) of reporting markets paid their manager/coordinator, with amounts ranging from $348 to $14,600, with the funds coming primarily from vendors’ stall fees. Of the 37 reporting markets, only 16 markets paid managers/coordinators more than $2,000 for the year. The added work of permanent programs requires training and relationship-building with a kaleidoscope of agencies and entities around the market; that training should be invested in both the organization and in the person of the manager. In other words, systems to strategically build these and other programs must be created at the market level and at the network level. Once established, those systems would free managers and overworked vendor board members from the stressful work of recreating the same market structure each season and instead, encourage them to plan mid and long term and spend more time with their community which will lead to better outreach and more intuitive interactions. One of the most obvious indicators of this lack of planning time is the reduction in time in working with or visiting farms or farm leaders. I believe that the move away from markets by some farmers is directly related to their suspicion that some now see them only as a tent and a table, unable or unwilling to assist them with the development of their business. Another indicator to me of the need for more professional development is the lack of alignment between food hubs and farmers markets that should share the development of vendors businesses even as they have different goals for them. The capacity of current market vendors has certainly become a storm cloud looming: to understand this issue, data on the number of competing outlets that market vendors now use should be gathered and analyzed. It may be that the issue is not too many markets but too many other outlet types that tax the current vendors. Really, just knowing what each vendor is about and who and how they sell is the goal. You see, what happens is at the Saturday market, Chef (from fancy restaurant; supportive guy) comes by and asks me if I can sell him some of my crop this week; he wants to do a big dinner and give me some publicity. So he tells me to call him first thing Monday morning. I go out to harvest, come in around 10 and call him. They answer and tell me he is running late, but to call back in an hour. In the meantime, the deadline for the Tuesday market is coming and so I call you and tell you I am not sure if I am coming tomorrow but will confirm before the afternoon. (As you know, that market has been a little slow lately as it is this time of year so if I can sell it all to one place quickly I’d prefer it this week.) I wait an hour and call the chef back; they tell me I just missed him and he is in a waiters meeting but told them to tell me he will call me immediately after. You call me back, I have no answer so I don’t answer when you call. Finally, he calls me, still enthusiastic about the crop but tells me regretfully the numbers for the dinner are lower than expected so he can only buy 1/2 of what he thought. That means I have to drop off 1/2 and could bring a little to the market now. Or should I call another chef to sell the rest? I still haven’t called you to confirm one way or another, so I finally decide to call you to tell you I am not coming even though I’d have a little to sell; you are not pleased of course. I finally decided the stress compared to the sales were not worth it. Now this is only one vendor’s story and there are differing situations of every hue to uncover about each market. The point is to know exactly how each of your small businesses are doing, with which shoppers and with which outlets. And to know the demographics of your area to know how you can add shoppers to that group. That takes time and support from your board and vendors. Data on number of visitors per market, average sale, length of time the average shopper remains at market, # of vendors they visit, and the number of shoppers per anchor vendor for example should be examined by each established market suffering with a slowdown in sales. Some tendency may be revealed, such as an abundance of longtime shoppers who purchase from a small number of vendors first thing in the morning with too few newer shoppers who roam the market later trying an abundance of items. Or, it may be that events that look robust and fun are actually not helping sales but impairing them and should be curtailed during the busy season. Or, products are not displayed with prices and details in all cases, driving away those uncertain about the protocol at a market to find out the information that shoppers need. And in some cases, the number of products has decreased, especially in number of new products offered each year. Like it or not, shoppers grow tired of making the same items every night and look for inspiration. At the state level, the passive approach to the design of direct marketing outlets from some states’ leaders seems an issue. (This seems to be more prevalent in states with a strong farmer/activist core but limited state associations). To increase the chance of success, it seems necessary for leaders to become more involved in exploring and understanding the typology of markets and programs in order to help markets use limited resources extremely efficiently. By doing that work, they will develop a spectrum of interventions that offer local organizers realistic outcomes for those market types and allow for appropriate and attainable growth to be likely. Of course, I have great faith in the wisdom and earnestness of the Vermont folks and expect that articles like the one below will keep the conversation going on how to strengthen the fabric of their esteemed direct marketing tapestry. What would make things easier? How can we improve? These are questions that farmers market boards and individual vendors grapple with as they reconsider nearly every aspect of the market model. Although many farmers are resigned to markets being less moneymaker and more marketing tool, it would be better if they were both. For the farmers markets of Vermont to be sustainable, and lucrative, most of them will need to change. Overall, it is the consumers — those who have the least at stake and so much to gain — who have the most power over the fate of farmers markets. Consumers decide whether to show up with cash in hand, ready to shell out for their weekly supply of local goods, or merely hang out eating dumplings or cookies made with nonlocal ingredients. They’re the ones who may not show up when it’s raining … unless there’s a Pokémon to find. Over the last ten years, my travel schedule has remained pretty constant in the late winter and spring: a.k.a. farmers market/agricultural conference season. Sometimes it means that I am leaving New Orleans during Carnival season, (or my fav festival event) the Tennessee Williams Literary Festival or just at the loveliest time of year. Still, I am honored to be invited to participate in so many market development workshops and say yes to as many as I can manage. New Orleans: AFRI-funded “Indicators for Impact” project team/market pilot sites meeting. • In New Orleans, I will serve as the host team member and support the FMC team in presentations, facilitating open discussion among participating markets and in absorbing those markets feedback on their first year of gathering and compiling data. This University of Wisconsin-led research is informing the development of Farmers Market Metrics. 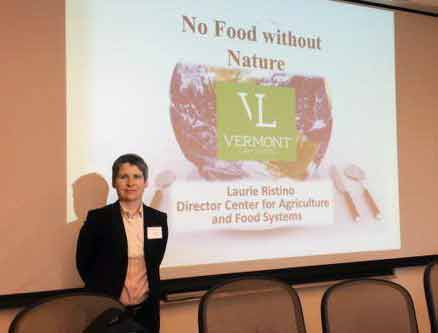 • In Vermont, I return for the 5th or 6th year to support my colleague Erin Buckwalter in her work at NOFA-VT to build capacity for direct marketing outlets and to support VFMA. I’ll be presenting some retail anthropology techniques for markets to consider when refreshing their markets. Sounds like I’ll also be called on to facilitate a open session on EBT issues, which should be helpful to the Center for Agriculture and Food Systems at the Vermont Law School (CAFS). The students are leading the design of a Legal Market Toolkit along with project partners NOFA-VT and FMC. Exciting stuff coming out of this project, I promise. • Final stop of the season is to one of the most established state associations and to work with one of the longest serving state leaders, Jeff Cole. I remember well that in the formation days of Farmers Market Coalition, our Market Umbrella E.D. always came back from those meetings with great respect for Jeff’s input. Since then, I have called on him to offer analysis in some of my projects (shout out to some of my other informal advisor mainstays: Stacy Miller, Amy Crone, Sarah Blacklin, Ben Burkett, Colleen Donovan, Copper Alvarez, Kelly Verel, Suzanne Briggs, Helena St. Jacques, Richard McCarthy, Beth Knorr, Leslie Schaller, Jean Hamilton, Paul Freedman, Devona Sherwood along with a whole bunch of others..) Jeff has asked me to do an overview on market measurement history (RMA, SEED, PPS audits) and recent evolutions like FM Tracks, Demonstrating Value, and of course Farmers Market Metrics. So, keep yourself busy on other blogs while I sit in meetings, learning and sharing for the next few weeks. And if you are attending any of these meetings, please say hello and share your news or ideas with me. Maybe it’ll be the next best practice that I post on my return to these pages. conferences, evaluation, farmers markets, FMC, useful websites, Where's Dar now? I am a huge fan of the Center for Agriculture and Food Systems at the Vermont Law School. This activist center has already added a great deal of thoughtful research to the field of community food and their impact continues to grow exponentially. It is my honor to be working on one of their projects, a legal toolkit for farmers markets, along with the good folks at NOFA-VT.
As I write this, the harvest is in and the farmers markets are in their final weeks. At CAFS, we have also had a bountiful season, presenting at conferences on each coast (the University of Oregon and Harvard University), teaching a wonderful class of food and agriculture law and policy students, and continuing our project work for food and agriculture producers and entrepreneurs. We are thrilled to report the award of additional funds through the National Agriculture Library, expanding that partnership through our innovative collaboration with William Mitchell Public Health Law Center and the Rudd Center for Food Policy and Obesity at the University of Connecticut. We are also pleased to announce the expansion of our staff with one of our own graduates, Sarah Danly, who is spearheading our leading-edge use of design, technology and the law to produce relevant and powerful legal tools. These are just a few highlights of what you will read below. I hope you enjoy the fall issue. In September, CAFS received a $728,273 grant from the USDA National Agricultural Library. The grant will support three new projects; the largest — the Community FoodWorks project — is a collaboration with the Public Health Law Center at William Mitchell College of Law and the Rudd Center for Food Policy & Obesity at the University of Connecticut. The two additional projects, How to Use a Lawyer and Farmland Access Lease Assistant, will be designed to help farmers find and utilize legal resources. 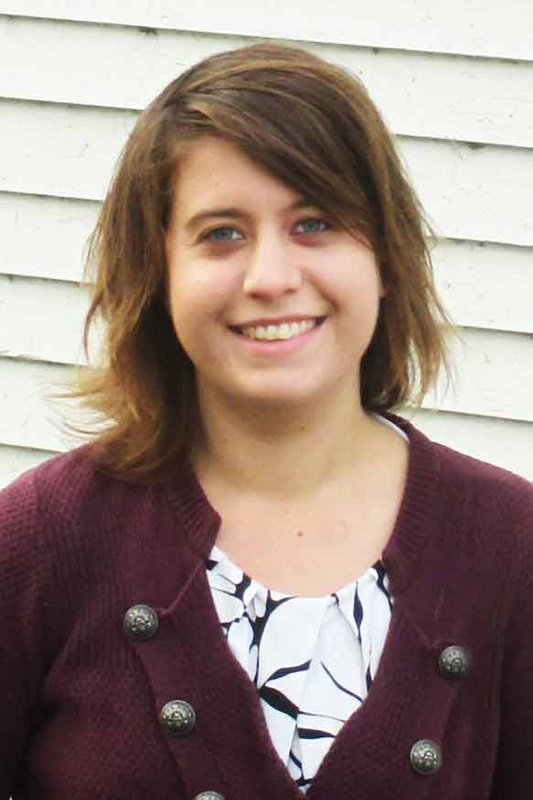 Sarah recently earned her MELP (Master of Environmental Law and Policy) from Vermont Law School. She also holds a BA in Architectural Studies and Community Health from Tufts University, as well as a BFA from the School of the Museum of Fine Arts, where she focused on sculpture, drawing, design, and digital skills. Sarah will work with students in the Food & Agriculture Clinic on designing accessible online legal tools and information, which include the animated clip, “What Does the Food and Ag Clinic Do?” Prior to coming to CAFS, Sarah conducted outreach for Next Step Living, a Boston-based home energy efficiency company, and worked at farmers markets as a vendor and assistant manager. Beth Boepple (right) is developing the fourth food and agriculture distance-learning course for CAFS, drawing on her rich experience practicing food and farm law. A VLS alum, Beth is a shareholder and attorney with Lambert Coffin in Portland, Maine, specializing in corporate, commercial and banking law; farm and food production law; and real-estate and land-use law. In addition, Beth will be co-teaching Agriculture and Food Entrepreneur Lawyering Skills with Amy Manzelli (left) in the spring. Amy currently collaborates with CAFS on two USDA-funded projects. She is a partner at BCM Environmental & Land Law, PLLC in Concord, New Hampshire, specializing in environmental, conservation, and land law. Beyranevand wrote the chapters “Breaking Down Barriers to Local Food Distribution in Urban Centers” from Urban Agriculture: Policy, Law, Strategy, and Implementation, and “Agricultural Biotechnology and NAFTA: Analyzing the Impacts of U.S. and Canadian Policies on Mexico’s Environment and Agriculture,” from NAFTA and Sustainable Development: The History, Experience, and Prospects for Reform. 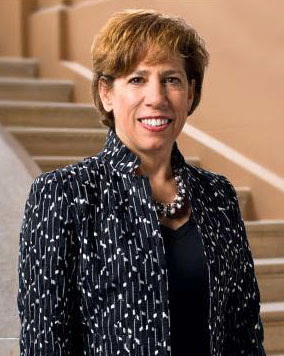 * Director Laurie Ristino was quoted in the Law360 article “9th Circ. Pesticide Ruling Holds EPA to High Standards,” commenting on the 9th Circuit Court’s decision to vacate several EPA registrations of bee-killing pesticides. 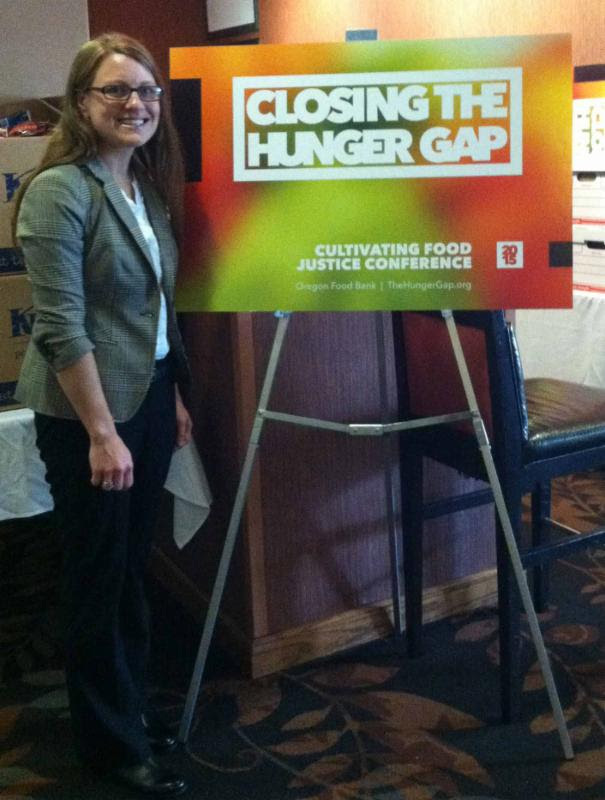 * Research Fellow Amber Leasure-Earnhardt(right) attended the Closing the Hunger Gap: Cultivating Food Justice conference in Portland, Oregon, in September. She met with food bank representatives, farmers, and advocates to discuss the role of CAFS’ gleaning research in furthering food justice. * LLM Fellow Carrie Scrufari will be presenting her paper “Generally Recognized as Safe-Until They’re Not: Why the FDA Never Subtracts Food Additive From GRAS” at the Yale Food Systems Symposiumon October 30-31, 2015. She workshopped the paper in September at Pace Law School’s 2nd Annual Future Environmental Law Professors Workshop. In January 2011, when the Farm to Plate Strategic Plan was released, an economic analysis indicated that with every five percent increase in food production in the state, 1,700 new jobs would be created. Goal #1 of the Farm to Plate Strategic Plan is to increase Vermonters’ local food consumption from five to ten percent over ten years. As Farm to Plate movement blooms, Vermont food and farm jobs help drive economy – Burlington Sustainable Agriculture | Examiner.com. H-515, the Agency of Agriculture, Food and Markets housekeeping bill, made it legal for farmers to facilitate on-farm slaughter, but not conduct it themselves. The limitations – and wording – of the rule are causing some frustration and confusion. On-Farm Slaughter May Be Legal, But It's Complicated | Vermont Public Radio. Since I’m back in Vermont for the 2014 Direct Marketing Conference, I decided to upload the Power Point from the 2013 Wholesome Wave convening that Erin Buckwalter of NOFA-VT and I gave about the 2013 Vermont Market Currency Report. I’ll add notes for each slide sometime in the next month or two but the data will still be helpful to many. Market Benefit and Incentives PPT-Vermont 2013 – Helping Public Markets Grow. Our Vermont Market Currency Report won a national design award, thanks to our amazing and patient designer Matt Hannigan, now working with GoodThree Design. I heartily recommend working with them on your next report. American Graphic Design Awards 2013.